Iris has been in development for a while now - in fact, the technology its built upon is in development since 2015. The app is currently in a closed beta test which I would like to open once 3.10 becomes available. I'll post spoiler updates here once in a while about the features I'm working on. 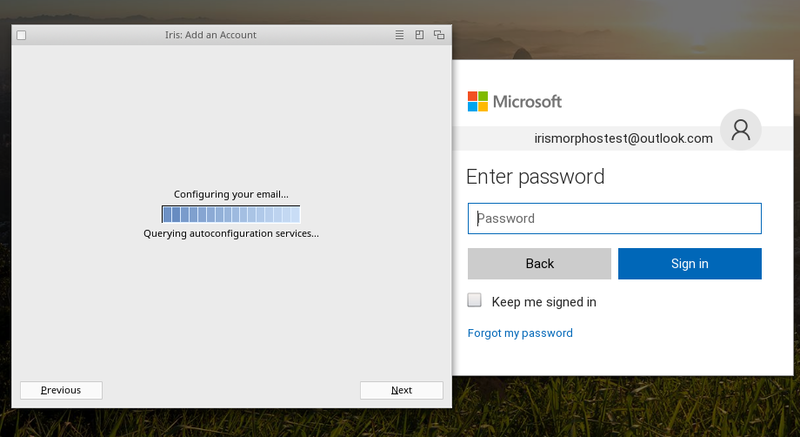 OAuth2 is supported for Gmail and Outlook.com. This lets you login using 2FA to your gmail account. Adding accounts is straightforward - most common servers will autoconfigure using Thunderbird's autoconfiguration server. 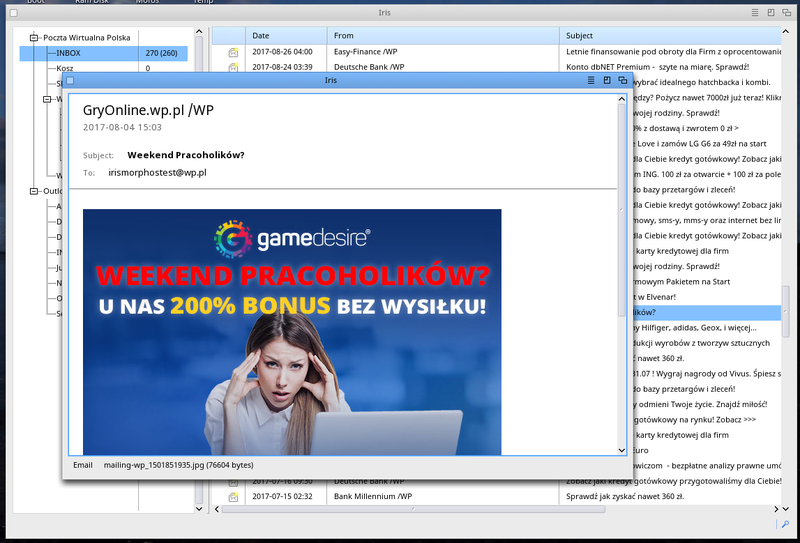 The email reader displays your spam/HTML emails out of the box.